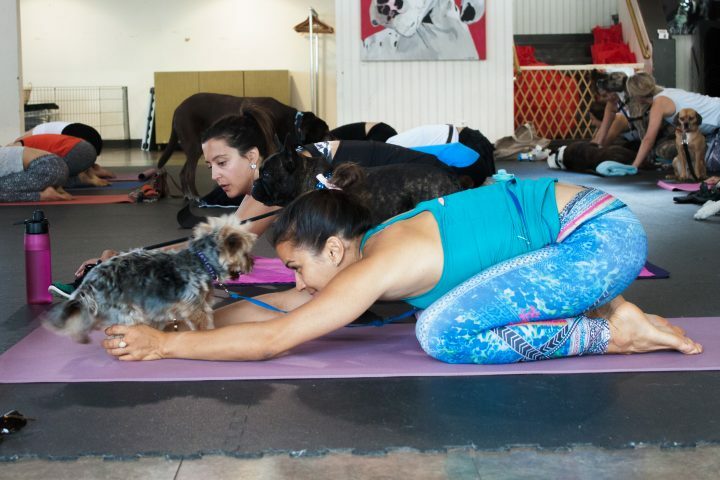 An emerging trend removes the separation between human and dog in a practice termed "doga," where dogs are welcome to engage in yoga with their two-legged companions. Let's have a look at some of the health benefits of attending doga sessions with your dog. How you and your dog can share some clarity of mind! We've seen plenty of videos of pets interrupting their focused human companions while engaged in yoga poses at home. What makes these moments so amusing might be the broken focus of people trying to show off their limber bodies before the camera, or it might remind us of our own frustrations while sharing close quarters with our pets. The four-legged always find a way to steal the spotlight. Several of the best-known poses -- like the downward-facing dog pose -- are named for their likenesses to dogs, who are, after all, some of the most advanced practitioners without any need for instruction. What doga offers your pet is the potential for therapeutic touch. According to some instructors this could help their lymphatic system through gentle massage. Doga can be an opportunity for you and your pet to connect in a space free of judgement and overwhelming distraction. Together you can observe each other's pace of breath. It may be the only chance you get to spend time together within your constrained, busy schedule. This can fortify your bond and improve your ability to listen to one another. Some dogs experience trouble achieving a relaxed state so it's worth inviting them to join you in your yoga practice if the space allows for it. This shared activity could improve your dog's approach to tension as well as your own. 5. Spaces for socializing dogs can be hard to come by. Help your pet make friends. 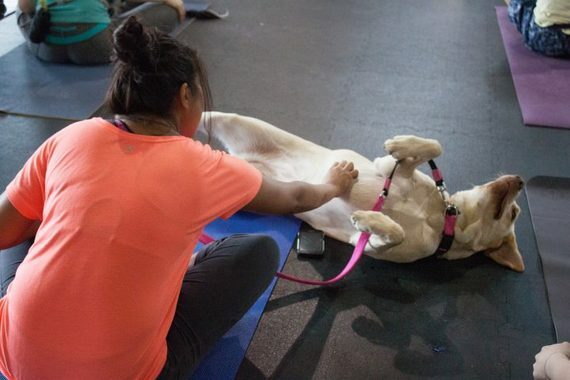 If you and your dog are looking for a good stretch, Get Leashed hosts regular doga sessions on a monthly basis!